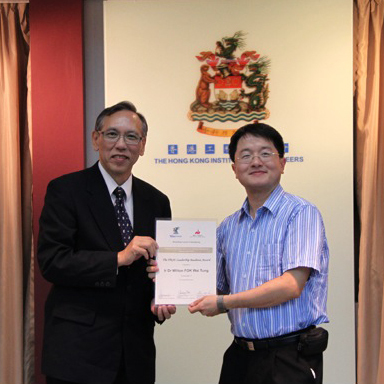 Dr. Wilton Fok received the HKIE Leadership Bauhinia Award from the HKIE Senior Vice-President Ir. Dr. Chan Fuk Cheung in September 2010. The Award is jointly issued by The Hong Kong Institution of Engineers and the Hong Kong Council of Volunteering.